With our broad customer base, which includes medical professionals, attorneys, engineers, students, gamers, and more, we are able to provide services designed to meet the specific needs of each client. Are you looking for a custom gaming tower? How about new computers for your office? We can build custom computers to perfectly suit your needs now and in the future. GCM has over twenty-five years of experience building high-quality custom computers for both personal and business use. 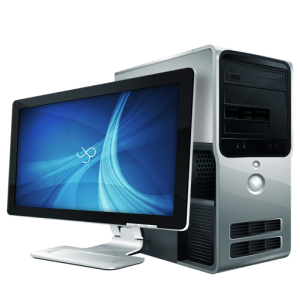 In addition to our custom-built solutions, we also sell brand name computers from leading manufacturers like Dell, HP, IBM, and Apple. Whatever your needs are, we will provide you with reliable equipment backed by our excellent customer service. GCM is your one stop shop for all of your technology needs! 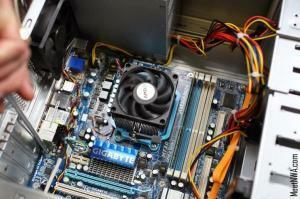 Our experienced technicians and engineers are skilled in all aspects of computer service and repair. Computer problems can be caused by hardware, software, or a combination of the two. Our skilled specialists will gladly help with slow operation, connection issues, viruses, and malware. 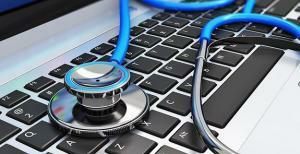 We will identify the issues, and provide the most efficient, cost-effective solution with little to no data loss. We are able to service virtually any make, model or age of computer. We maintain a comprehensive inventory of commonly used hardware and specialty parts can be ordered when required. Our goal is to get your system up and running again as soon as possible. If we upgrade or replace your computer, you don’t have to worry about losing your data. We will transfer all your files to the new system. We carry a wide selection of standard cables and connectors. Our specialists can also make custom cables to match any specification. Aside from the standard PC components, GCM also stocks specialized parts and accessories. We carry Cable/DSL routers, wireless access points, Ethernet switches, USB “thumb” drives, external USB and SATA drive cases, and much more. The following domains are available for purchase. Contact us for more information.